SPR Global Healthcare is most trusted for exports of eye drops as we value the need of customers, we assure quality of medicines that too of long expiry date. With sincerity and hard work of vendor’s professionals, we have carved a niche for ourselves in this domain by offering Lumigan Eye Drops. Offered eye drop is processed by using the premium quality ingredients in compliance with the set medical standards. 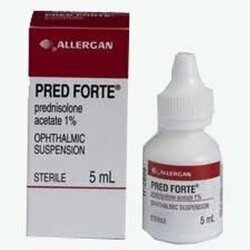 This eye drop is indicated for the reduction of elevated intraocular pressure in patients with open angle glaucoma or ocular hypertension. We are giving this eye drop in best packaging in order to ensure its quality. Amidst our wide range of industrial machines, we are also engaged in offering a wide range of Refresh Eye Drop. The offered eye drop is processed by vendor’s pharmaceutical experts by using the best grade ingredients in accordance with the quality standards. This eye drop is a fast-acting, long-lasting formula has many of the same healthy qualities of your own natural tears and is safe to use as often as needed. 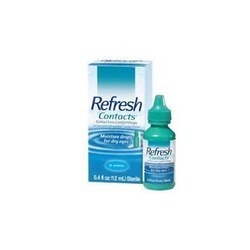 Offered eye drop is an artificial tear that instantly moisturizes and relieves dry, irritated eyes. Dose Adult: Initially, 5 mg tid. Owing to a modernized infrastructure for trouble-free processing & post-production, we are instrumental in offering Pilocar Eye Drops. 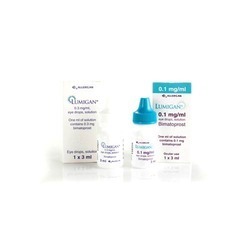 This eye drop is processed using the best grade ingredients in compliance with the set standards. The offered eye drop is used to treat high pressure inside the eye due to glaucoma or other eye diseases. This drop help in lowering high pressure inside the eye helps to prevent blindness, vision loss, and nerve damage. Focused on technological up-gradation, dynamism and innovation, we are moving ahead by maintaining timeliness in delivering a wide gamut of Careprost Eye Drops that are prescribed to treat hypotrichosis as it increases eyelash growth & thickness. Offered eye drop is processed by using the premium quality ingredients in compliance with the set medical standards. 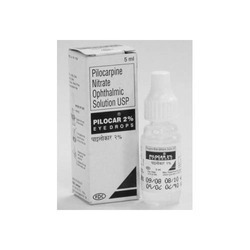 This eye drop is indicated for the reduction of elevated intraocular pressure in patients with open angle glaucoma or ocular hypertension. We are giving this eye drop in best packaging in order to ensure its quality. Latisse generic Eye Drops of bimatoprost used for eye lash growth in females is FDA approved medication safe which increases eye lash thickness, length, and darkness. 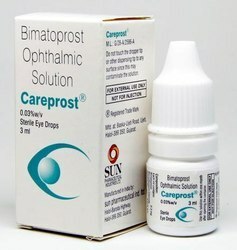 marketed in India by names bimat/careprost /lumigan . Dose Adult :Instill 1 drop once nightly. 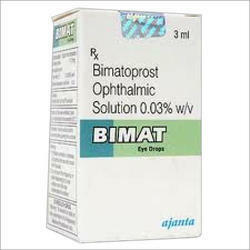 SPR Global Healthcare from India is a leading exporter of Bimat Eye Drops (Bimatoprost) used to treat hypo-trichosis (short eyelashes) also used to reduce intraocular pressure in glaucoma patients Remove contact lenses before applying Bimat Eye Drops (Bimatoprost). This medication is used to treat certain eye conditions due to inflammation or injury.Prednisolone works by relieving symptoms such as swelling, redness, and itching. It belongs to a class of drugs known as corticosteroids. With firm commitment to quality, we are presenting for our clients a vast range of Optipres Eye Drop. 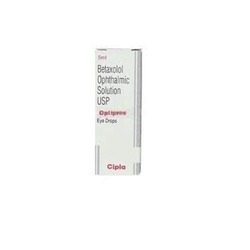 The given eye drop contain the active ingredient betaxolol a beta blocker works by reducing the production of fluids in the eye to relieve pressure in the eye. This eye drop is processed using high quality ingredients and advanced methodology at vendor’s end in adherence with the pharmaceutical norms. Our eye drop may also use the eye drops to treat ocular hypertension. Keeping in mind, ever-evolving requirements of our valuable clients, we are offering an exclusive range of Dorzox T Drop. The offered Dorzox T drop is processed by best quality ingredients as per the set medical standard . Dorzox T drop is used to treat high pressure inside the eye due to glaucoma or ocular hypertension, prevents blindness works by decreasing the amount of fluid within the eye. SPR GLOBAL is major exporter of eye drops.